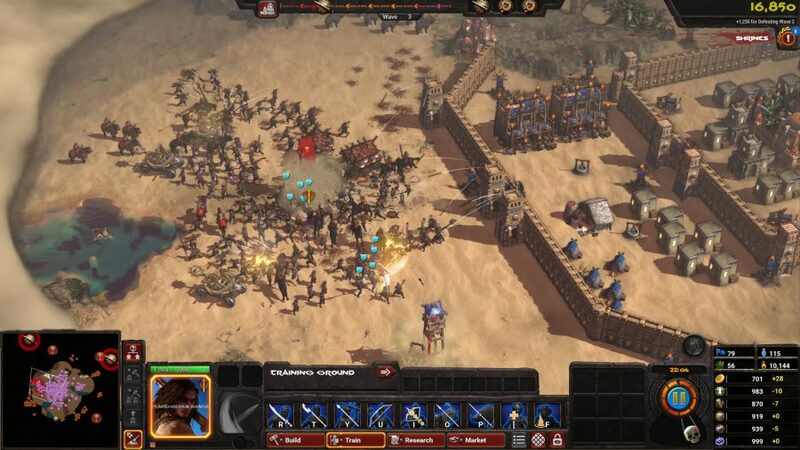 This is Conan Unconquered, and it’s what developer Petroglyph is calling a survival RTS. What that means in practice is that it’s a wave-based city defence game in the mould of They Are Billions. But Conan Unconquered adds its own mechanical and thematic flair to the formula. I met with members of Petroglyph and publisher Funcom to play a one-hour co-op session of Conan Unconquered at GDC, which is how I wound up fending off an arachnid invasion in the middle of a sandstorm. Two-player co-op is the first departure Conan Unconquered makes from They Are Billions, and I was fortunate enough to have been paired up with game designer Renato Orellana – who worked on Grey Goo – who sat opposite me and provided some life-saving tips as we battled through the first few waves together. 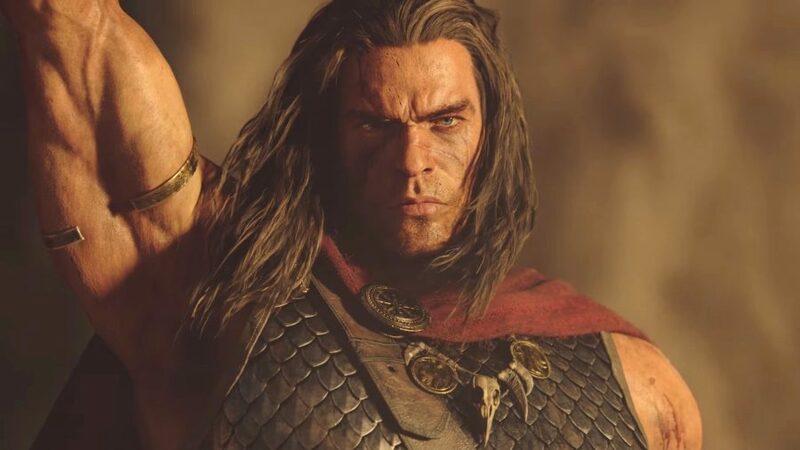 Befitting a title drawn from Robert E. Howard’s fictional Hyborian age stories, Conan Unconquered is centred around hero characters. I pick the pirate warrior Valeria, whose special ability gives her superhuman speed and the ability to spin through enemies like a human blender. Orellana chooses Conan, who is large and strong and does the usual Conan things to his foes. Together, we build up our settlement, using Conan Unconquered’s complex building tree. Like the best Petroglyph games, it feels in many ways like a throwback to the glory days of the RTS – placing buildings feels quite a bit like it did in Age of Empires II, with basic structures that provide thralls (you get the Hyborian ‘workforce’), food, and building materials eventually giving way to more advanced facilities like marketplaces and shrines to Mitra. It’s a pleasingly deep system – at least, it is based on what I see during the brief hour I play it. We build walls and guard towers and command tents, racing against the clock to increase our population cap before the next round of enemies arrive to try to knock everything down again. Not long after we explore the map with Conan and Valeria. Moving beyond the edge of our camp, I take a small band of swordsmen with me into the desert, where I quickly run into a nest of giant scorpions. Caches of resources can be found around the procedurally generated map, but the best loot is obviously found in giant scorpion dens. It isn’t long, however, before Valeria and Conan are urgently needed back in town. The next wave of enemies arrived while I was distracted by my new career in burgling the homes of large, clawed arachnids. If I had been paying attention, I would have seen the marker at the top of the screen telling me that the enemy horde was arriving, and the kinds of angry people who were in it. Orellana politely suggests I hoof it back to camp, and so I send Valeria and her merry band of bug-murderers home. 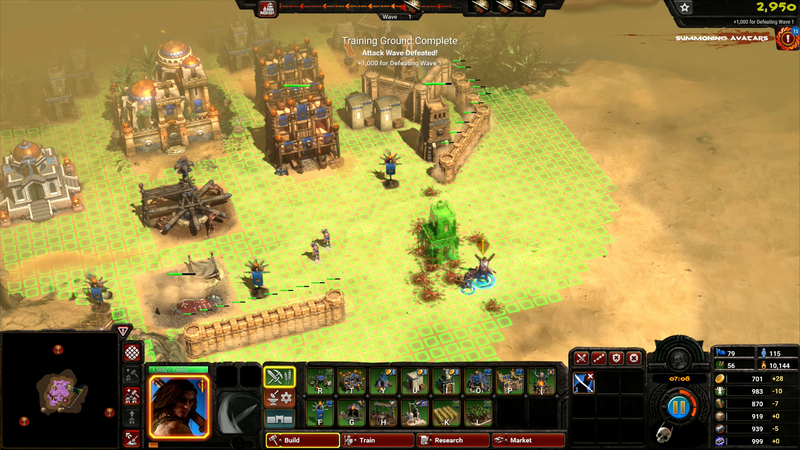 Petroglyph has been working on the Command & Conquer remaster alongside Conan Unconquered. The strategy game classic will be reintroduced in 4K alongside Red Alert, and all the expansions for both games. We arrive in time for mop-up duty. Luckily, Orellana had Conan and the rest of my troops ready for when the invaders arrived, phew! Their corpses now litter the area where we had begun building our walls to the south. Under normal RTS rules, this wouldn’t be of much concern, but dead bodies in Conan Unconquered create a couple of problems. The first issue is the obvious one of hygiene: bodies left out in the street tend to spread disease, which will hurt the performance of troops. 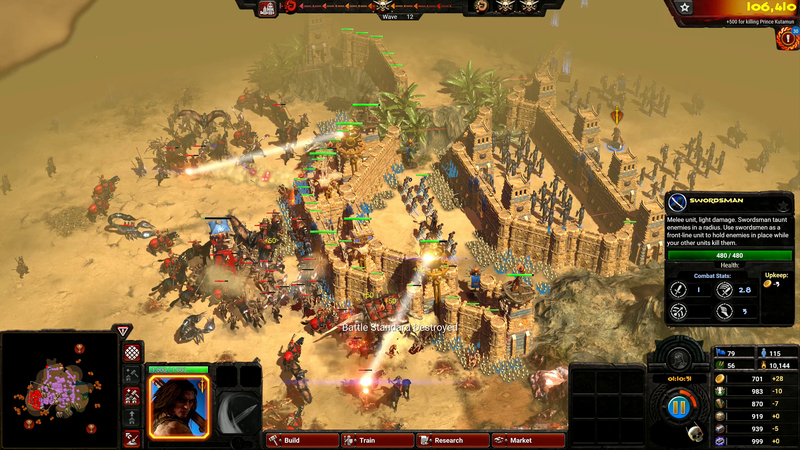 The second problem is that having a lot of corpses around tends to attract necromancers, who enjoy nothing more than raising armies of skeletons. The spiders show up around wave five, at which point Orellena and I have more or less completed a perimeter wall around our settlement. The problem here is that giant spiders aren’t at all bothered by walls, and they scuttle in unimpeded. While normally you get a clear indication of the size and composition of the approaching enemy horde, random sandstorm events hide this information. We rush our warbands back inside as soon as we realise we’re being attacked from all sides, with Conan and Valeria slicing through spider carapaces as fast as they can surround us. While we eventually fight off the loathsome swarm, they manage to tear down most of our hovels and battle standards, leaving us on the back foot for the next, more challenging wave of enemies. My hour with the game flies by, and so when I’m told I have to put Conan Unconquered down, I’m genuinely upset. I only get to see the opening movement, and Petroglyph says it only gets crazier in later waves. Those necromancers I mentioned show up, for instance, as well as enemies dragging siege weapons. But your own toolset expands as well, and eventually includes the power to summon a giant brass avatar of the god Mitra, who thunders through enemy formations, squashing them like ants. I only have a few minor quibbles. The interface is a bit confusing, but that’s bound to be the case with a brand new RTS for the first couple hours. Unit animations can sometimes be stilted. And while I only had the chance to play as Valeria, I didn’t get much of a sense that I ought to be playing her in any unique way. At least in the opening hour, I felt that I’d be giving more or less the same orders to Conan if I had chosen him instead. 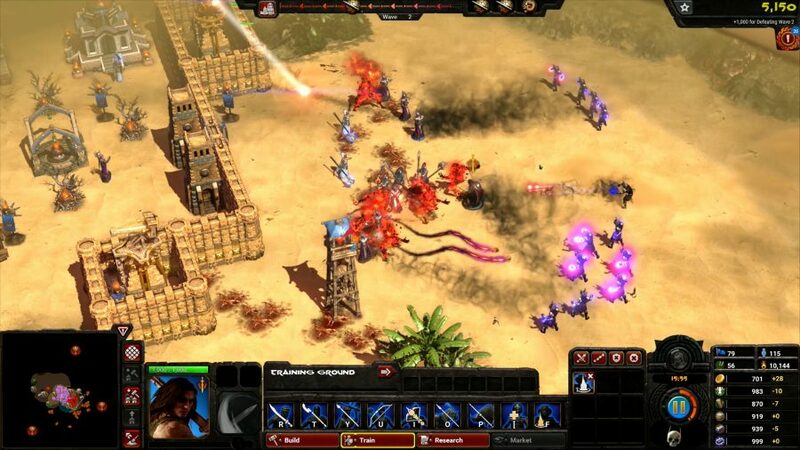 Overriding all of this is the fact that Conan Unconquered appeals to the old-school Starcraft turtler in me. Rather than pushing me out from my carefully engineered base, Unconquered wants me to focus on it, periodically stepping across the desert wastes when I want an adventure. The addition of two-player co-op works perfectly with the Conan source material, and Petroglyph has taken steps to make sure players don’t feel bound at the hip when it comes to exploring and building. The co-op experience seems to be the optimal one, but Conan Unconquered can, of course, be played in single-player too. As Howard himself once wrote, “When I cannot stand alone, it will be time to die.” Meanwhile, I hope I don’t die of anticipation while waiting for the game’s May 30 launch date on Steam.